In this article, we are going to explore what may sound like a foreign term to retail forex traders. I am referring to a typical activity option traders engage on known as gamma scalping or gamma hedging. In a nutshell, gamma scalping involves the process of scalping in and out of a position via the underlying market so that one can make enough adjustments over the delta of a long option premium to balance out the time decay component of the options position as part of a long gamma portfolio. For the non-initiates, I know exactly what you are thinking. It still sounds awfully technical and you probably might still be wondering what’s delta, gamma, and how to interpret it all. Let’s break it down in a step-by-step process, which will include various metrics known in options as Greeks. Firstly, we must understand what “Delta” means in the context of trading options. In simple terms, delta measures the impact of changes in an options price in relation to the price of the underlying instrument. The values can vary from 0 to 1 if the delta is for a Call position or from 0 to -1 if the delta is for a Put position, depending on the strike the option is bought at. Let’s think about a hypothetical situation to clarify what message delta carries at all times. If you own a Euro option (Call) at 1.14 with a delta of 0.5, which refers as a position “at the money” due to the price of the strike option equal to the price of the underlying instrument (1.14), it means that for every 1 measure unit of change in the underlying EUR futures contract, the option will increase by 0.5 units. For example, if the EUR contract exchange rate goes up 1 pip worth $10, the price of the Call option will increase by $10 x 0.5 delta = $5. On the contrary, if what we own is a Put with a delta of -0.5, for every 1 pip drop worth let’s say $10 in the Euro contract, the price of the Put decreases by -$5. It’s also important to make the distinction amongst the different definitions of an option position. 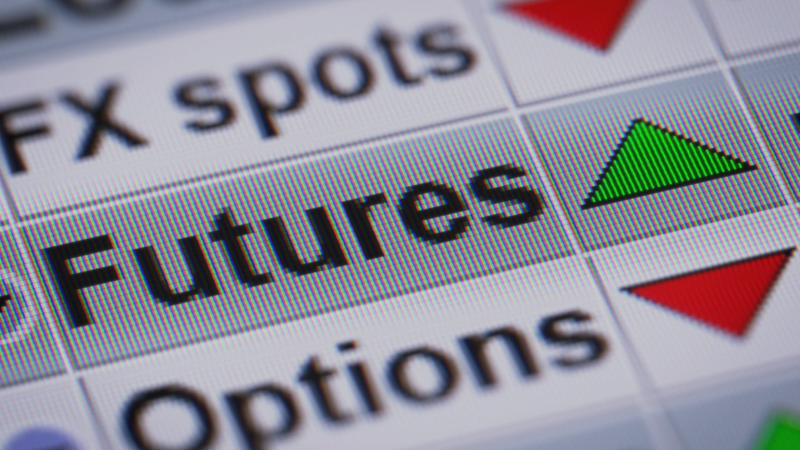 If we trade an option strike that is “out of the money”, it means that the rights to buy the underlying carries no intrinsic value as the price of the call is above the price of the underlying asset (EUR futures contract). The higher it is from the actual current EUR futures strike, the lower the delta is as less value the option has, all the way to 0. The opposite is true for a Put, the lower it is bought or trades at from the current futures strike, the lesser value and hence delta is had, with a limit of 0. Alternatively, if an option is purchased or trades “at the money” or nearby, it means that the price of the Call option matches the price of the underlying asset. In this case, the delta assigned is around 0.5, which as the example above illustrates, it means that for example change of say 1 pip in the EUR futures contract worth $10, your position varies by half or around $5 (commissions not considered). Meanwhile, if the option is “in the money”, here is where the position has intrinsic value with a delta value much closer to its maximum threshold of +100 for Calls or -100 for Puts. As an example, a January 2019 Call option to buy EUR/USD at 1.10 when the EUR/USD futures underlying price is at 1.1450 means that the delta will be very high, near if not at +100 as illustrated below. Alright, up to this point I hope the concept of delta does not sound as alien to you now. The next critical piece of the jigsaw is understanding what the heck it means when we talk about “Gamma”. The explanation of this term is very straightforward since gamma is merely the term used to measure the rate of change in delta, and will be represented as a percentage. In practical terms, what it tells us is the variation in the delta as a result of one pip/unit movement in the underlying futures contract. Gamma tends to exhibit its highest value when the strike price of the option in “at the money” or nearby, with the value decreasing all the way to 0 the more the option loses intrinsic value by diving into “out of the money” territory. As the example below illustrates, the Jan EUR futures contract trades with a strike price of $1.1450, therefore has a delta of about 50 (0.5), with option Calls priced at 0.0053 and a gamma assigned of 31.18. If the EUR futures price moves up by 1 strike measure (50 pips) to 1.15, then the adjustment in the delta will be of around 31 percent from 51 delta to 66. Gamma is critical, as the rate of variations in delta can have a profound impact in a portfolio’s P&L. That’s why understanding how changes in delta via gamma will affect your P&L is vitally important. Upon reaching this point in the guide, we can now take it one level up and start touching on the concept of what it means to be “long gamma” in your options position. It’s essentially predicated on the idea that a trader is long options (Calls or Puts) with an interest to benefit in expectations of significant moves in the underlying asset that can offset the fee paid and the time decay. Long gamma is achieved, as an example, via a long straddle or strangle, also known as a neutral strategy via the buying both a Put and a Call of the same underlying asset, striking price and expiration date. These type of strategies may offer unlimited profit, limited risk (option price paid), and it aims at exploiting the anticipation of volatility in the underlying before the contract expires. By the same token, “short gamma” is when instead of being long options, your position is predominantly dominated by your short exposure via the selling of Calls and Puts. Remember, if you are a seller of options, you are paid a fee for the unlimited risk faced, as no one can guarantee the level of volatility the underlying asset will experience before the option contract expires. There are many strategies to be short gamma as there is to be long. The simplest form, as touched above, would be through a short straddle or strangle strategy, as a result of selling both a Put and a Call of the same underlying asset, striking price, and expiration date. These strategies offer limited profit (fee collected), unlimited risk (exposure to underlying asset volatility), and it’s intention is predicated on the notion that the trader expects the market to be contained in confined ranges. To continue moving forward, we need to introduce a new term, what’s known as “Vega”, which is the rate of change of an option's value based on the degree that implied volatility varies. We cannot fully understand nor account for the proper pricing of an option unless we take into account the expected volatility, also referred to as implied volatility, achieved via complex calculations. The greater the implied volatility, the higher the options price as sellers will obviously be demanding a higher premium to take on the increased risk. In the contrary, if the implied volatility goes lower, so does the price of the option as the expectation is for the price to be more contained. In the illustration below, the EUR futures contract has a vega of 0.0008, which means that the option will be priced eight cents more expensive for each one-point rise in implied volatility, and vice versa, losing six cents for each one-point decline in implied volatility. We are about to go full circle. The only missing component to then get into what gamma scalping is all about is to understand “Theta”. In this case, it refers to the change in the options value based on the change in the time to expiration also known as time decay. Theta will show how much an option loses in value as every day passes. In the example below, for every day, the option will evaporate 0.0002 or 2c from its value due to the time decay. Almost there, trader! With all these abbreviations and concepts under your belt, let’s introduce one of the primary strategies market makers resort to in order to reduce or remove altogether the directional bias from their portfolio. We refer this approach as “Delta Neutral” and in practicality, it encompasses a position built upon the concept of a straddle or a strangle with initial positive and negative deltas that offset one another to ultimately create a position that has a delta close to 0. So, after you have a delta neutral position or portfolio, gamma scalping involves the buying and selling of the underlying asset in order to offset theta. At the end of the day, the purpose of the gamma scalping or gamma hedging strategy is to keep actively buying or selling the underlying to recover what one is losing every day from the time decay (theta). It should, therefore, be seen as a risk recovery approach rather than a high profit generating strategy. Note, in the majority of cases, the players most heavily involved in gamma scaling are market makers, members of the exchange, that provide liquidity to the markets, hence they are the most in need to compensate the theta risk in their open options. What this means is that gamma scalping is not for everyone and only those that are extremely well capitalized, and possess a wealth of knowledge in the options industry. Hence, why it’s predominantly dominated by big players. Why Care About Gamma Scalping? That’s totally a fair question since I just mentioned that this is mostly a market makers’ dominated territory. Because by understanding its logic, and by adding one final component (implied vs historical volatility), we would be better informed to anticipate the type of market profile we might be facing, which comes down to either trading a market that is sticky or slippy. In other words, when key liquidity levels in the chart are tested, can we expect the market to play its usual tricks by trading more trappy and erratic to deceive traders into buying/selling failed breakouts? Or is the market facing the prospects of trading more directional and breakouts expected? The crux of the matter is that by incorporating this last element, that is, the type of implied vol / historical vol ratio, we will be able to anticipate whether or not these major option players will actively be engaging in gamma scalping/hedging strategies, which causes the market to be more trappy or will they be forced to add further fuel to an existing directional move? So, why is so important to gauge these two elements? Historical vol is the volatility the underlying asset has experienced an annualized standard deviation basis as a percentage of the price. Meanwhile, implied vol is the forward-looking volatility expected based on complex calculations that factor in the price of the option, the underlying asset price, the strike price, the time to expiration and the risk-free interest rate, calculated via the Black-Scholes model. As a rule of thumb, if implied volatility is paid at higher prices than historical volatility, it suggests that the option prices may be expensive. When this occurs, the options market, in line with its constant quest to find equilibrium back to the mean, will show an inclination to engage in an overall short vega portfolio strategy by building a position around the selling of volatility. Remember, if the market is bearish volatility, it perceives the option prices as overblown and therefore, we predominantly find the markets’ interest in selling Calls/Puts and collect the fees/commissions. So, in this type of context, the strategies that orbit around delta-neutral will focus on building short structures such as a strandle to name a simple one, which as a reminder, carries unlimited risks and limited rewards. Alternatively, if implied vol is below historical vol, this may imply option prices are offered at a discount. As a result, there will be a greater interest to buy vega, in other words, the market will have a tendency to buy volatility via increased activity in the buys of Calls and Puts. This action is predicated on the notion that the market perceives an opportunity to incur on the payment of a fee in order to bet for a significant pick-up in volatility with the prospects of limited risks and unlimited reward. We are finally at the point where we can fully come to grips about why is gamma scalping so important to retail traders. After all that I’ve exposed above, you must, therefore, understand that when the market is long volatility, it implies a ratio of implied vs historical vol below 1. In such a scenario, we know the option structure strategies most dominant are based on the buying of Calls and Puts. So, what will the avid options trader do when the underlying asset experiences volatility, which causes the delta and its gamma to vary. The trader will engage in the buying or selling of the underlying asset (gamma scalping) in order to recalibrate its delta to keep it neutral and make profits along the way to compensate for theta. Since the position loses value due to theta every day, one must work out the amount of theta exposure. In the example of the EUR contract above, the theta was 2 cents per call/put at the money with a delta of circa 50. So, on let’s say a hypothetical scenario of owning 100 contracts, the theta would be 2.00 or $200 of cash per day. That’s how much the trader will need to make profitable scalping per day to compensate for the losses from theta and stay break even. When the price of the underlying asset falls and the delta is skewed to the downside, the trader will buy the underlying asset to create the necessary cash flow to offset theta as mentioned. What this essentially means is that when key liquidity levels are tested in an instrument with a ratio of implied vs historical vol below 1, gamma scalping will tend to keep the instrument within familiar ranges as options players buy or sell the edges to adjust their +/- deltas in long vol option portfolios. See an example below in USD/CHF, which carries very low ratios of impl/hist as of Dec 27, 2018, for all contracts in the foreseeable future. Check the table of ratios accompanying the chart below. As I’ve explained, this is a market significantly long volatility given the low impl/hist ratio, therefore, everytime the underlying approaches the extremes of the range, gamma scalping activity will significantly increase the odds that the market is contained within familiar levels (sticky market). On the contrary, if implied volatility is running rampant above the historical standards, which results in the ratio of implied vs historical volatility to be above 1, it translates in a market that will start looking to short what’s thought to be expensive volatility. If that’s the general view, major players will look to build position short vega (volatility) via the selling of Calls and Puts. Here is the kicker. What happens when a market is characterized by straddle-like short structures as an example? If the players’ expectations are correct and the market is confined within a specific range for the duration of the options contract, they make money by selling the option. However, unlike a market long vol, should the underlying asset break outside a predefined short straddle range, they will be facing unlimited risks. The more the asset moves in either direction, the more they lose. So, how can they hedge this exposure? They are not in a position to gamma scalp as that will only increase the risk of further losses. Instead, they are forced to buy the underlying asset if it breaks their pre-worked out range in order to cut out their downside exposure, which is what happens when you are the seller of an option. The ripple effect of such action is that options players are the ones that assist the directional profile of a market by adding fuel to the fire and buying the underlying asset of an upside breakout or having to sell the downside resolution to protect their tail risk. See below a recent example in EUR/JPY. This is a market that I had been warning via Twitter that a downside resolution with a potential acceleration on lack of gamma scalping could be on the cards. Even if retail traders will never have to bother engaging in gamma scalping, you can now understand how it can be of vital importance to anticipate a market profile. If you do your work and keep a constant candid observation on the ratios of implied volatility vs historical, the concept of gamma scalping or lack thereof fits very nicely into yet another piece of the jigsaw when analyzing your markets and what type of behavior you should expect. Here is to your success in 2019! Ivan Delgado Egea, Head of Market Research at Global Prime Forex.